This week, The Purple and White met with Kelley Gunn, a junior neuroscience and cognitive studies major from Summerdale, Alabama. In his free time, he likes to hunt, fish, go to the beach, and train dogs. He is also on the Majors Baseball team. Kelley Gunn: My mother had a friend whose two sons went to Millsaps. They knew that I was going to try to pursue a career in medicine and that I also wanted to play baseball… I came and gave (the school) a look. (When) I got here, Coach Page was great, and I thought the school met the needs of what I wanted to do in the future. KG: The camaraderie of the campus…because the campus is so small you’re able to interact with a lot of different people on many different levels—not just in the classroom, professional wise and with the administration…through the athletic office, the staff of the higher-ed, whether it be through admissions or the President’s office or office of Student Life. Everyone is really easy to get in contact with and to just get to know people on a personal basis. That’s not something you find at places where you’re more of a number and not a person. P&W: What organizations are you involved in? 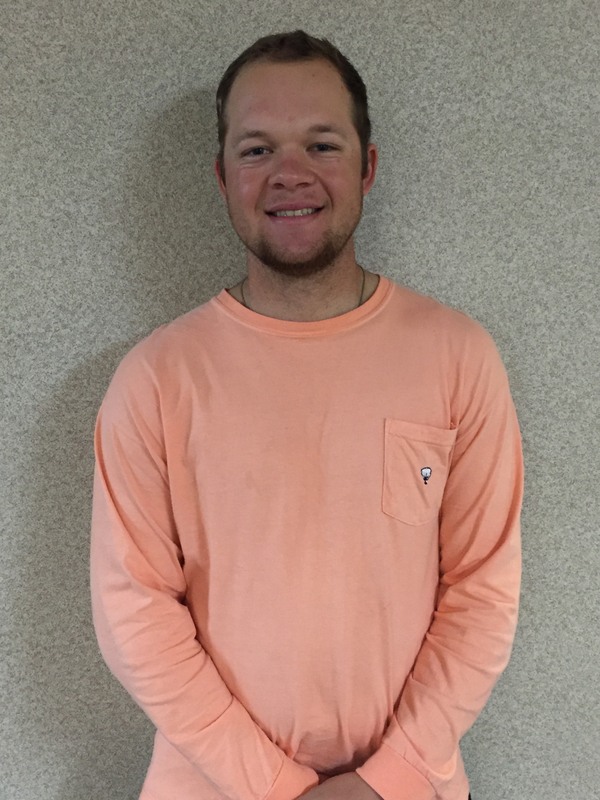 KG: I play baseball, the psychology club, SAACS (Student Affiliates of the American Chemical Society), AED (pre-health honorary), FCA (Fellowship of Christian Athletes), The Collective, Tri-Beta honorary, Lambda Chi Alpha, and Ford Fellowship. KG: My theory has always been you take a lot of things from different people who have an influence on your life, and that can come in many different aspects…If I were to narrow it down to about three or four, I would say my mother and father together. They’ve helped me become the person I am and drove me to want to become a better person. My godfather, who has helped me learn more of what it means to be a man and grow up to be a man. John Kelly, the head guy of FCA, who has helped me spiritually to find more of what I believe God is calling me to do in my life. My girlfriend has helped me to show me things I’m good at and what I’m not good at and has helped me to become more aware of how I react to other people… Dr. Melissa Lea has always been huge and I’ve done some research with her too, and she’s also helped me learn how to manage myself more and act as a professional. So those are a few people off the top of my head, but then again, I have many friends who contribute something to my life, and more family as well. KG: Short term, I want to become more of a patient person. In the day and time we live in right now, it’s really easy to jump to something. Whether it’s a conclusion or stigma or…Whenever you sit through it and think about things, that might not be what’s really showing. So a lot of patience and communication with people, learning from people, knowing that you don’t know everything and there are things that other people can contribute to your life… Another short term goal that I believe is that you should always strive to be excellent… So long term goals that I have for myself are to improve my communications skills since it’s become such a part of the world we live in today… being able to communicate effectively over whatever spectrum you’re thinking of. Being able to graduate a year on time would be great. P&W: If you could bring back any cancelled TV show, what would it be and why? KG: 24. 24 ran out after 8 seasons. It’s so funny. It was a government based show trying to stop terror threats and all the little things we go through on a daily basis but don’t know about. It’s pretty accurate to the world we live in now…24 was just awesome. That and M*A*S*H. That’s kind of an older show…it had so many ideals and principles that had to do with working together and communication and becoming one with people on a personal level. That we seem to miss today as a society, whether it’s through our social media or other ways. We’re not communicating as well as we used to. P&W: If you could travel anywhere, where would you go? KG: The Vatican City in Rome. I was born and raised Catholic. I really appreciate the history of The Vatican City, in general. P&W: Tell me about the most embarrassing thing to ever happen to you. KG: One time I was walking with some people and I was walking up the Olin stairs, and we’d just gotten out of Organic II and I was going to genetics, and I was talking, and I just straight ate the stairs. I busted my shins up. It really hurt. It really wasn’t event that funny, but it’s kind of funny in hindsight now. I had about 10 people that I’m really close with just standing there and they started laughing. So… I just kinda wore that one. KG: I really don’t like when people fill in other people’s sentences. That really drives me up a wall because if you don’t know you ask, and you ask to understand… and if you’re trying to understand what you don’t really understand, what point are you really getting at? That’s a common discourtesy that we tend to ignore in this generation and that really annoys me. P&W: What’s a controversial opinion that you have? KG: I’m a very uniform person. I think things are better when they’re structured. That maybe doesn’t appeal to people who are extroverted or outgoing. I’m a very structured person so when people like to set things up, I like to have a routine and do things by the book. The Purple and White thanks Kelley for his time! If you or someone you know would like to be featured in the next “Meet the Millsapian” article, you can email me at clevecd@millsaps.edu.